Teachers should integrate a focus on developing and leveraging student interests routinely in their instruction. It helps teachers build intellectual relationships with their students. District staff and PD providers should support teachers in enacting interestdriven science instruction, including making time in curriculum pacing guides and providing resources to local community and online affinity groups. School leaders should support interest-driven science instruction by resourcing professional learning and collaboration around such efforts. All students have the right to learn about science and engineering in ways that are consequential and compelling to them. 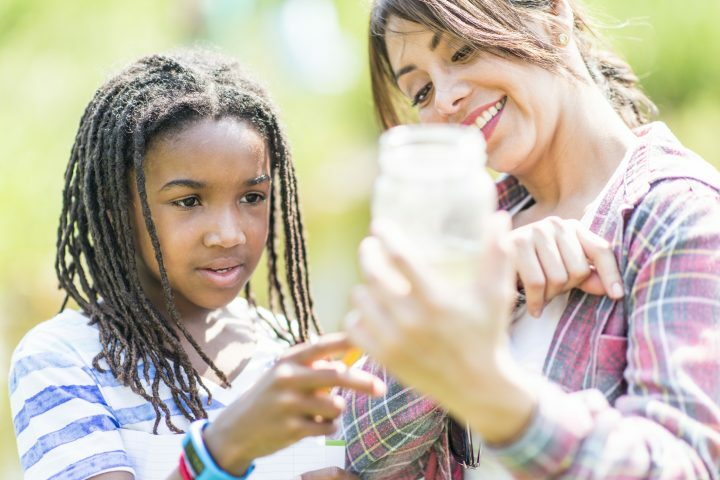 Science instruction should help students understand “why does this matter to me?” This is because science learning is centrally shaped by the interests and concerns of learners and their communities— therefore relating science concepts and practices to the realities of students’ lives, generationally and culturally, is crucial. There are many different ways that learner interests can be meaningfully taken into account during instruction— by creating experiences, by adapting curriculum, or by resourcing and positioning students. How much do you know about the backgrounds and interests of your students? What about those of their communities? How can you use formative assessments to surface the interests and life experiences of your students? Think incrementally about shifting your teaching towards interest-driven science instruction. Which units are a strong starting place? Building on prior interest & identity is as important as building on prior knowledge. People powerfully learn what we relate to or are curious about and based on who we are or who we want to become. Learner interests are multifaceted. Interests can relate to curiosities and wonderments, cares and concerns, passions and expertise, responsibilities and desires. Interests can develop into identities. Justice-focused Science Phenomena. Selecting a phenomena or social focus question related to social or multi-species justice is one way to help students find a unit to be compelling and relevant. Leverage Community Funds of Knowledge in STEM. Have students survey and explore local expertise. Be sure to enact a broadened view of what counts as & who holds relevant expertise. Interests Can be Social Responsibilities. Some youth uphold responsibilities to their community. Interest-driven instruction can open a space for them to act on those responsibilities. Resource Ongoing, Supportive Interest Pathways for Youth from Nondominant Communities. Students may be interested in a topic or field where they encounter marginalization or hostility. Provide ongoing support and network them with others who can support them. Establishing New Interests. Are you trying to help students develop a new interest in a science-related topic, phenomena, idea, or practice? If so, highlight relevant aspects of science and engage them in related details. Give students an easy way to keep learning what they became interested in by using an end-of-unit survey. Connecting to Global / Local Topics and Projects. Are you trying to help students understand how scientific knowledge relates to global issues and related local phenomena? Anchor units with a Social Focus Phenomena where they use science to develop ideas, solutions, and opinions on real world events—connecting science and society. Relating Science to a Community Project or Source of Knowledge. Are you trying to help students see how scientific knowledge can inform a community endeavor or justice project? How it can leverage community knowledge? If so, use self-documentation to identify authentic community connections and focus an “action project” on researching and engaging with the community about the topic.